Planning and carrying out a household move can be an exciting, but stressful – and expensive – experience, especially if you make a lot of decisions on the fly and then realize what it all cost after it’s over. Fortunately, there are lots of ways to minimize the cost of your move. When you put together a move budget, it helps you to think everything out and plan the best way to keep costs down. Figure out how much you can spend on things like boxes, packing, movers, a truck, insurance and so on. You should also plan for things like storage if you need it, and extra rent and utilities in case you have overlap between the old and new homes. Personal finance experts and moving specialists recommend you add 10 to 15 percent to your initial budget to account for unexpected expenditures. Although many people see it as a chore, moving can be a great time to get rid of things that you don’t need anymore. This way you save time and money on boxing, storing and moving the unneeded items. To reduce your moving costs and get a fresh start at the new house, you might decide to leave certain things behind, especially if they “fit” better in the old house and don’t bother the new buyer or tenant. Be sure to discuss these things beforehand with the new resident. Things that might be good candidates to leave behind are appliances, garage fixtures, decorative wall items, ceiling lamps or fans, large armoires or cabinets, exercise equipment, yard furniture, and basically anything that was custom-designed for the home, such as window coverings. Exercise caution when packing, gathering the required supplies and choosing the right sizes for your moving boxes. Remember to assemble all items, including marking pens and wrapping sheets, scissors, bubble wrap, labeling stickers and heavy-duty tape. Involve the whole family and create a moving log to track which items are in which boxes. You have the choice to pack things yourself, or pay to have your movers do the work. Many people decide on a combination, packing most household items themselves, but having the professionals handle special items like flat screen TV’s, pianos, pool tables and so on. Your mover can give you tips on the best way to pack boxes to avoid breakage (plenty of packing material and items firmly packed but not jammed together), they aren’t too heavy (box might break) or too empty (avoids things flying around and saves money with fewer boxes). Allow several weeks for packing so you have plenty of time to go through the items and decide what goes with you or is left behind, discarded or sold. Make sure you take the time to turn off all the services in the old place with as little service overlap as possible to avoid paying double utility costs. Call them all ahead of the move and coordinate the transfer of services to your new residence or, in case the provider is no longer the same, cancel the existing contract. Be sure to give the utilities a forwarding address so you receive any final bill and pay it promptly. A couple of months after your move, it’s a good idea to check your credit reports to make sure no lingering bills from the old address got left behind to tarnish your credit record by mistake. If you’re only moving a few boxes and your suitcase, you won’t need to worry much about finding help for move day. But, if you’ve accumulated furniture and lots of stuff, you’ll have to decide between a do-it-yourself truck along with enlisting your friends and family, or choosing a professional mover for an easier, safer and more reliable move. Several factors come into play here, including how much you’re moving in volume, weight and sheer number of items, days off work, risk of fatigue and injury, how much time you have to move out, and overall amount of labor required. Other considerations include dealing with fragile or specialty items that need special handling, and how you would handle broken or lost items that might not be packed or transported correctly. Usually, if you’re a homeowner or apartment dweller with a full house of furniture and accumulated personal items, it’s a good idea to at least get quotes and consider a professional mover. Moving usually ends up a lot more work than you initially think, and you will appreciate the help on move day. Once you know you’ll need help, getting moving quotes requires more than searching online. You may even want to locate and visit cheap local moving companies. This gives you a chance to check out the moving company, including making sure they are licensed with the Department of Transportation (DOT), discuss your specific situation and find the moving team who can best perform the services you need. Be sure you get quotes in writing. Check that they don’t have any hidden charges or unusual terms. Get prices on things like packing and insurance, and ask what payment methods they accept (avoid cash only movers, that spells trouble). A post-move audit on move day helps you make sure all your belongings have arrived safely at your new residence. Do a walk around and check for for damage like breakage or scratches, and make sure everything has been delivered. Verify that you’ve got your valuables, such as jewelry and electronics. The moving log you prepared earlier should come handy at this stage, allowing you to track every item at its destination. A good mover will stick around after they’re done to assist with the audit, make sure you are satisfied with their work and provide for follow up on any problems. 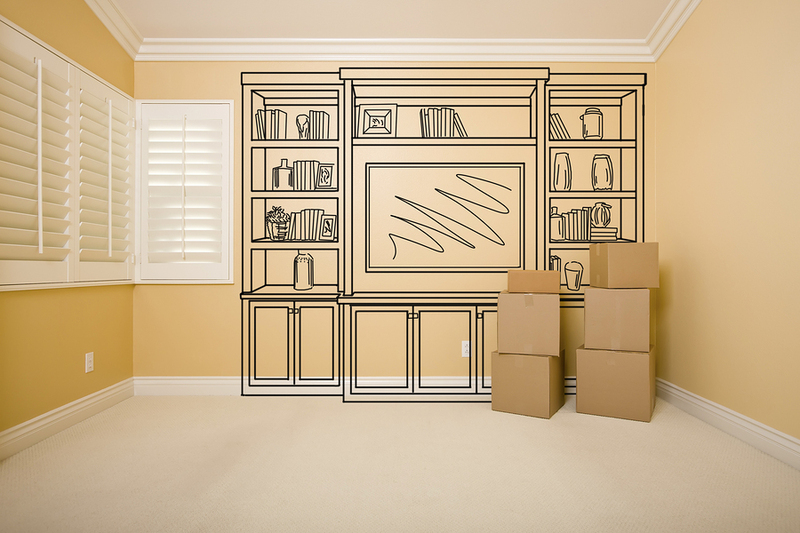 With a bit of planning, you can lower the cost of your move and make it easy and stress-free. 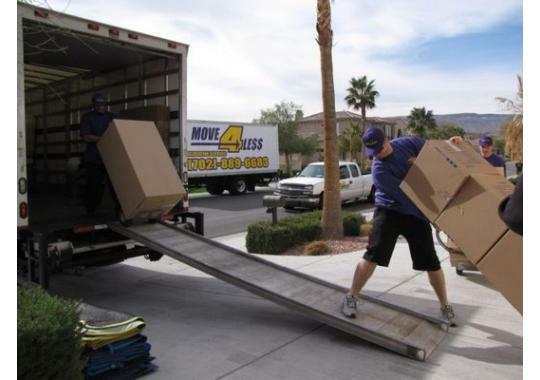 Move 4 Less specializes in stress free moves. We take care of all the little details so you don’t have to. And, we promise an affordable move, too. Give us a call for a free quote on your move today.